When there's no Wi-Fi around, using a cellular dongle to access the Internet from your PC is a good solution. The connection speeds providers offer nowadays are more than enough for you to even enjoy video streaming. Actually, many times a 3G / 4G cellular data connection is faster than some Wi-Fi hotspots! Here are the steps to access the Internet through a 3G / 4G dongle. Step 1: Install your 3G / 4G dongle on your PC. Step 2: Connect to the Internet using the dongle. Make sure you run the proprietary software to connect to the Internet, if that exists. 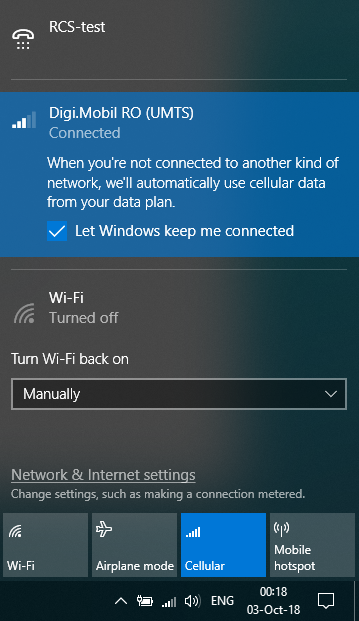 Usually it will be detected by your PC as a cellular connection or a Wi-Fi connection. If you still can’t connect to the Internet after troubleshooting this, contact your ISP / network provider.